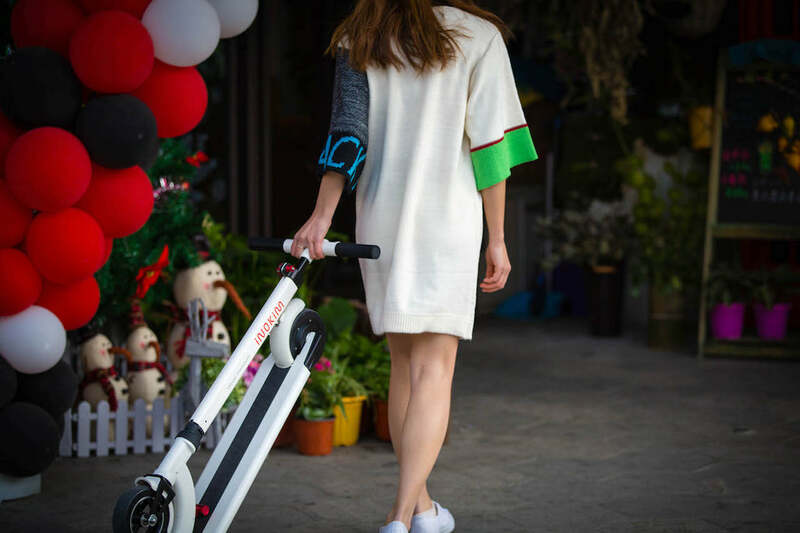 In 2017, Inokim launched the Mini and Mini Plus, the smallest and lightest electric scooters in its line. These were the first models catered specifically for the first-mile and last-mile commuters. The Mini line traded power for portability. It quickly earned the favour of customers who trusted the brand and wanted a small scooter. The Inokim Mini 2 is the latest iteration of this model, slated for launch in 2019. The main improvement in this model is the addition of an interesting rear suspension system that is unlike anything we have seen before. This cleverly designed shock absorber employs the combination of a hinge and a synthetic rubber elastomer. The simple mechanism offers less than an inch of vertical travel. This does not sound like much but is enough to reduce a significant amount of shock on the rider and and stress on the rear motor. A new master on/off button is also added to the side of the charging port. We don't know how the new button adds value because the an on/off button already exists on the control LCD panel at the top of the steering column. Perhaps it improves stability by simplifying the function of the LCD panel. The model is presently undergoing field tests. Sample units have been sent to dealers worldwide for feedback and test-riding. So far, our own tests have not uncovered any problems and we hope it stays that way. We expect this scooter to be a hit.